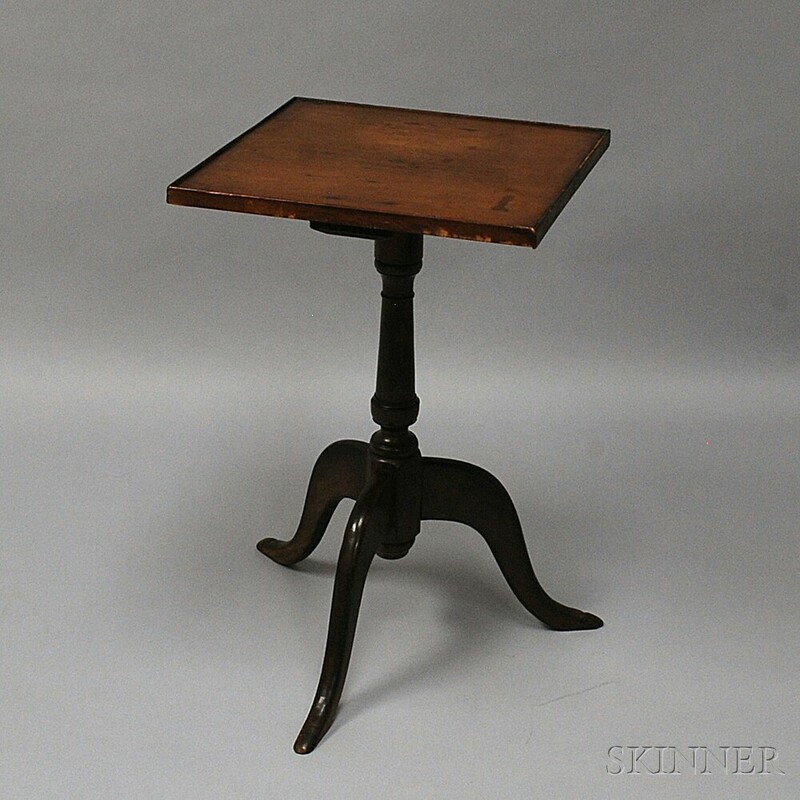 Queen Anne Pine Candlestand, New England, 18th century, the square top with molded border on a vase- and ring-turned shaft and cabriole leg tripod base, ht. 26 1/2, wd. 17, dp. 16 3/4 in.